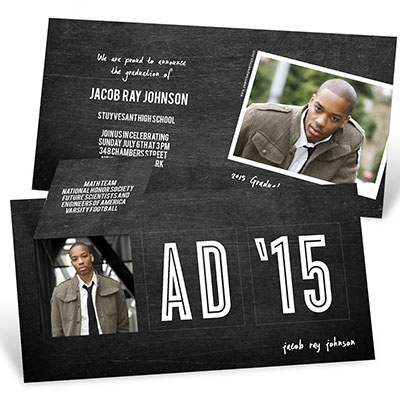 Send a graduation announcement that is as unique as your grad! 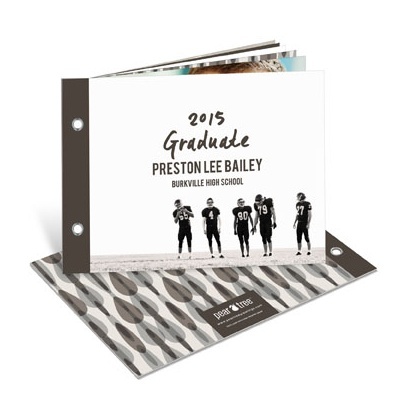 We wanted to share with you six graduation announcement ideas that are Best-In-Class with their standout design and trendy style. 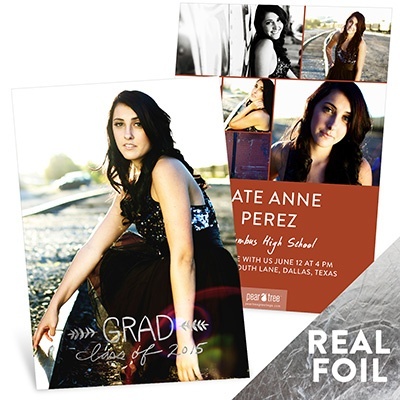 Spot these standout designs in our graduation announcements and invitations with a Golden Pear icon. Here are our most popular Golden Pear designs. Simply click on the image to learn more. 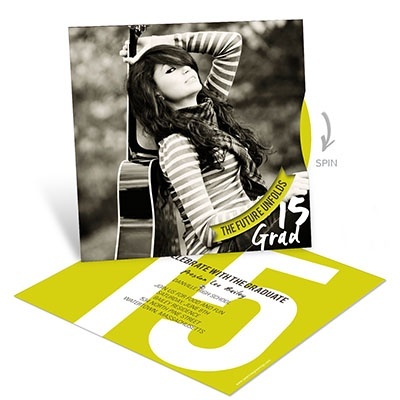 These graduation announcements let your personality shine through! 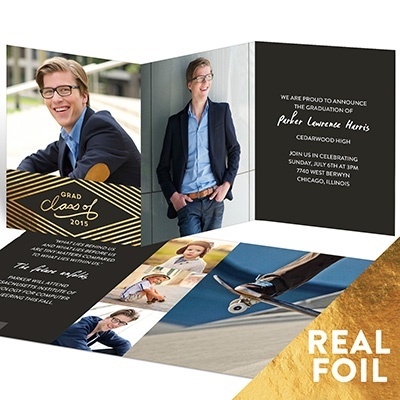 Real foil in gold or silver is stamped on the cards for the look of formal graduation announcements without all the pomp and circumstance. 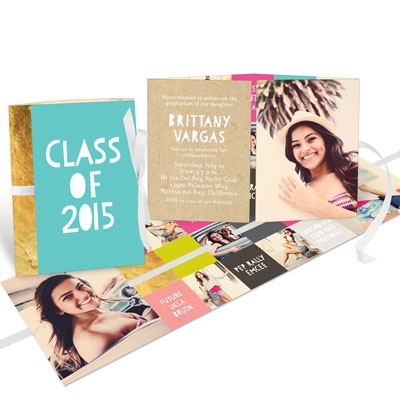 Friends and family will love to unfold these graduation announcements. A ribbon runs through the announcement and is tied shut with a bow for recipients to open. 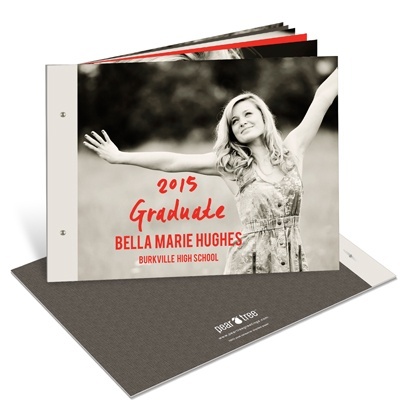 It adds an extra touch to these designs that will reveal beautiful photos from childhood to senior year. 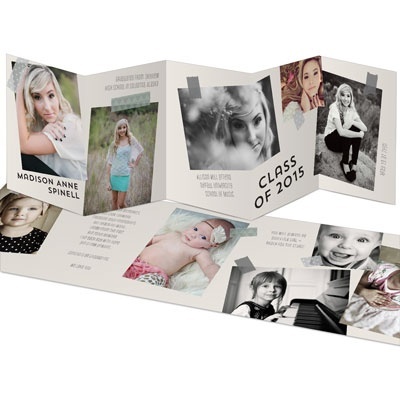 These accordion-style graduation announcements puts them at the top of the class. The 5-panel design unfolds to reveal oodles of photos, personalized messages and party details. A sure hit with family and friends! Where else are you going to find a pop up graduation announcement? Only at Pear Tree! This unique format is interactive for the recipients as they lift three panels to reveal photos and a message from the graduate. Absolutely unique and definitely will deliver the Wow! factor. 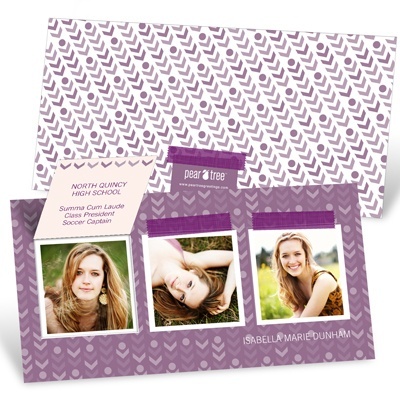 This is another interactive format that are a hit with customers! Spin the wheel on the side to reveal party details or four photos of your grad. Friends and family will love taking these announcements for a spin! 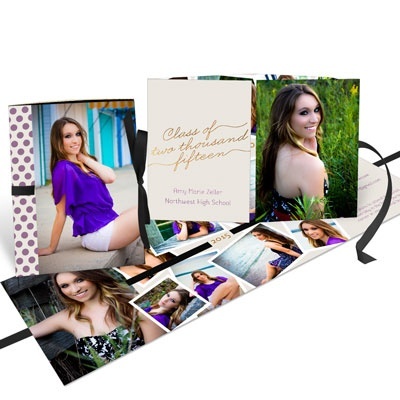 Ten pages filled with photos and memories, these photo books become wonderful keepsakes for friends and family. From baby pictures to scholastic achievements, it’s the story of your journey. 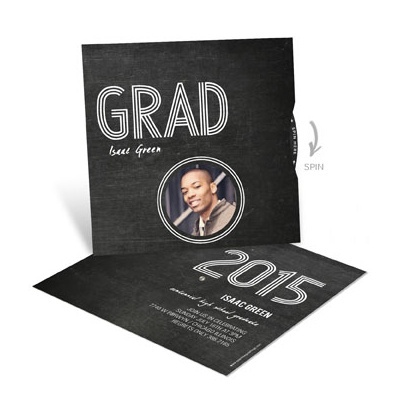 There you have our six graduation announcement ideas that are sure to impress family and friends. Shop our Golden Pear announcements or shop our entire collection for graduates. Enjoy celebrating this exciting accomplishment!